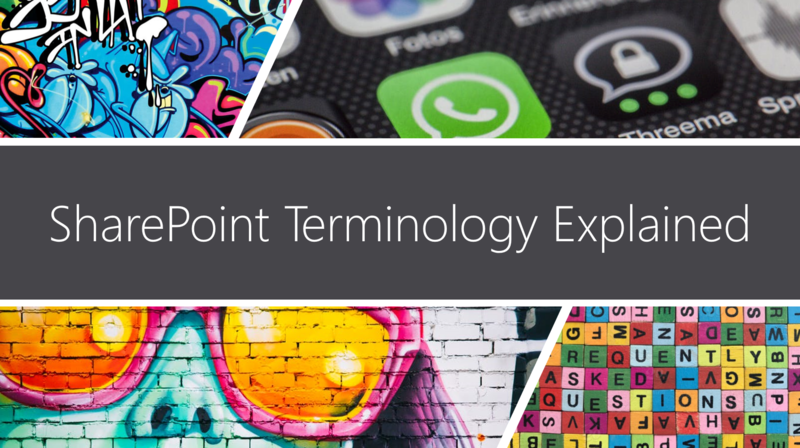 #Microsoft365 #Office365 #SharePoint – I’d like to cover some terminology used that might be confusing you. These will include Farm, Tenant, Site Collection, Sites (subsites), Apps & Content (Items). It’s not as difficult as you think and I’ll try my best to help you make sense of it all. DISCLAIMER: I WRITE ARTICLES ABOUT OFFICE / MICROSOFT 365. CONTENT IS ACCURATE AT TIME OF PUBLICATION, HOWEVER UPDATES AND NEW ADDITIONS HAPPEN DAILY WHICH COULD CHANGE THE ACCURACY OR RELEVANCE. PLEASE KEEP THIS IN MIND WHEN USING MY BLOGS AS GUIDELINES. YOU ARE MORE THAN WELCOME TO COPY AND PASTE MY BLOGS AND USE IT INTERNALLY IN YOUR COMPANY FOR BLOGS AND TRAINING MATERIAL. Let me start off by saying how difficult it was to find some decent definitions out there. If anyone has come across better definitions, please share in comments. Group of SharePoint Servers which work together to provide services. In the new SharePoint Online environment this is managed by Microsoft and the Farm can be divided into multiple tenants for different clients. When you purchase SharePoint Online or Office 365 subscriptions that include SharePoint it ‘creates’ your tenant. My tenant is The Guid Stuff. Some plans include the ability to create multitenancy environments – think a company that hosts multiple tenants for different clients in their Farm. This post by Bill Baer explains it well where he uses an airport with different terminals and different airlines using them. A site collection is made up of a top-level site with subsites below it. Number of site collections depend on your subscription. Each site collection has its own content database. When creating sites from the top SharePoint portal, they create site collections. A lot has changed around how we build sites. We used to have single site collections, then build out subsites below it for all the sites we need. The additions of Microsoft Teams and Communication sites has changed that all as they create site collections by default. This is not a bad thing, but will take some getting used to. Apps are the containers we store our content in. Think Document Libraries, Site Pages, Picture Libraries etc. Apps are divided in either document libraries or lists. When you have to start loading content by selecting a document or creating a document, then that is a library. If you just start by adding an item (calendar, task, announcement etc.) then that is a list – there is no document by default as attachment. This is all seen as content. When I think of the hierarchy of SharePoint, I think of Estates and Complexes. This might be a crazy way of looking at it – but it’s the only way I make sense of it. It also helps people understand the sharing of utilities, facilities & equipment. Thanks Tracy, the way that you have explain it, is really clean, tidy and easy to understand. Great ! !